In Small Things Remembered » Louis Dupree receives Afghan musical instruments from A.R. Benawa (center), Director of Radio Kabul. During his time in Afghanistan, Louis Dupree collected Afghan instruments and recordings of regional music. 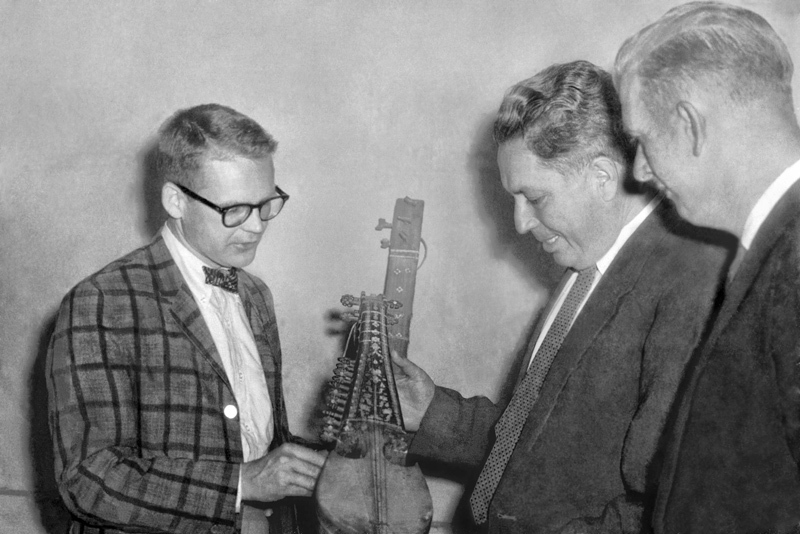 He later donated these artifacts to the Archives of Traditional Music at Indiana University, now one of the world’s leading centers for Central Asian cultural studies. The rebab shown in this photograph is mentioned in Dupree’s seminal volume on Afghanistan.